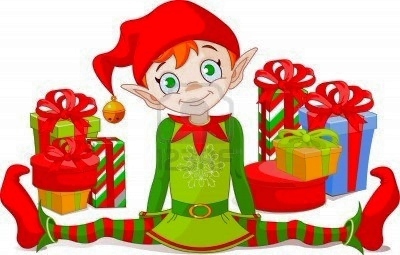 Elves have long been a part of American Christmas folklore. They are often depicted as tiny magical beings with pointy ears and long noses. They are also typically shown garbed in green or red and wearing pointy hats and pointy shoes. They live with Santa Claus and act as his helpers at the North Pole. At Santa’s workshop, they make toys all year round to be delivered to the good little boys and good little girls come Christmas Eve. They also take care of Santa’s team of eight flying reindeer – Dasher, Dancer, Prancer, Vixen, Comet, Cupid, Donder and Blixen – along with Rudolph, the reindeer with the red glowing nose that serves as headlight for Santa’s sleigh as it glides through the dark night sky. With the advent of the motion picture industry, Santa’s little helpers became even more popular, not just here but everywhere where Christmas is celebrated. My all-time favorite Christmas elf movie is of course “Elf,” the 2003 comedy with Will Ferrell in the title role. It tells the tale of a human who was inadvertently raised as a Christmas elf. When he finally learned his true identity and returned to the real world, unexpected funny situations inevitably erupt. Other favorite films of mine which feature Santa’s little helpers include Disney’s “Prep & Landing,” Dreamwork’s “Rise of the Guardians,” “Arthur Christmas,” “Santa Claus: The Movie” and the 1964 special “Rudolph the Red-Nosed Reindee” which we occasionally see re-run on television. Come Christmas shopping time, Santa’s little helpers can be seen ubiquitously anywhere we turn. They are in greeting cards and Christmas decors, in product labels and TV commercials, at storefront signs and on your favorite diner’s menu. Heck, even the salespersons and customer reps, around this time, put on their Christmas elf costume, or at least their Christmas elf pointy hat when they greet you and attend to your needs. Indeed, Santa’s little helpers have now become part of our great American tradition.